IRONHAWK TECHNOLOGIES AWARDED CONTRACT WITH UNITED STATES NAVY – Ironhawk Technologies, Inc.
Los Angeles, CA. – September 21, 2015 – Ironhawk Technologies, Inc. is pleased to announce that it has been awarded a contract as the Prime Contractor to integrate Ironhawk’s SmartSync® Data Distribution Software and Technology Platform into the United States Navy’s Trident Warrior 2016 Exercises to specifically enhance and improve the efficiency of data movement, regardless of data format and content type. Prior use of SmartSync® by Trident Warrior have yielded more than 90% reduction in data flow and improved data delivery speed. U.S. Fleet Forces Command’s (USFF) Experimentation Directorate is tasked with finding new and innovative ways to properly equip the warfighter to fight effectively and keep ahead of the adversary in a rapidly changing battlespace. Trident Warrior experiments with new initiatives that address tactics, techniques, and procedures along with technologies to see if they can fill a warfighting need. The marquee venue for this experimentation is Trident Warrior which USFF directs each year. One of the great aspects of Trident Warrior is that it provides a venue to test out new ideas and innovations in a real-world environment. In these exercises, which put each of the initiatives into the hands of the Sailors and Marines where they are evaluated for warfighter effectiveness, SmartSync® will be rigorously evaluated for expanded use. Taking these initiatives directly to the warfighter allows Trident Warrior test scenarios to examine their potential and influence the direction of their development and implementation, resulting in enhanced capabilities for the warfighter. 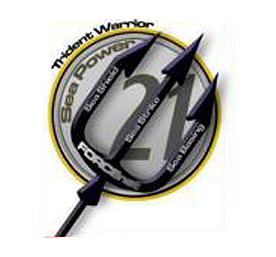 In addition to the Navy and Marine Corps, Trident Warrior has significant partnerships with the US Air Force, US Coast Guard, the National Reconnaissance Office and the Department of Homeland Security.